I was talking on the telephone with my dad on Wednesday afternoon and he shared with me a story about some of his colleagues. 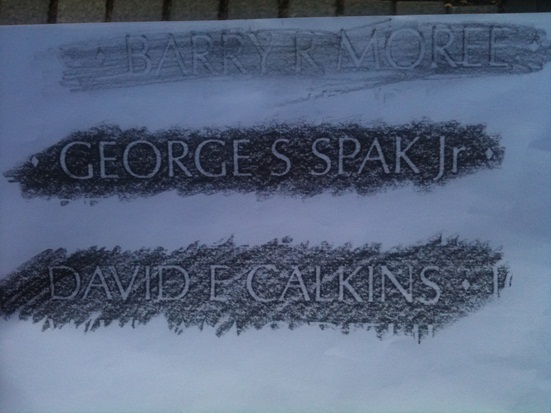 I’ll spare you most of the details, but one of the gentlemen was a Pittsburgh Steelers fans. My dad, a Cleveland Browns fan, and a few others offered up some jokes and friendly ribbing. (How can a Browns fan make fun of a Steelers fan? The guy was outnumbered by Browns and Bengals fans and the meeting was in Columbus, Ohio, so it was a road game for the poor guy.) Unfortunately, I’m not sure my dad was joking all that much. The steel city is a touchy subject in my family and that is what makes this baseball season different from seasons in the past. (I grew up in Akron and have always wondered if I grew up 45 miles east in Warren or a little farther east in Youngstown if I would be a Steelers fan. It would have been up to my dad, I was a fan of his teams.) You see for the first time in my life I am actually stepping away from my all-Cleveland allegiances and following a team from Pittsburgh just for the heck of it. Is it possible for me to root for the Cleveland Indians AND the Pittsburgh Pirates? (Save the, that’s a lot of losses jokes, I get it. ok?) On the surface, sure, they are in separate leagues and I have a better chance of landing a 747 in the upcoming months than they do of meeting in the World Series…but it’s Pittsburgh? I have been an Indians fan ever since I can remember. Over the years my time working in the minor leagues may have softened my passion, but I still check the box and when I have the chance I watch them on television. I’ll always follow the Tribe and pull for them to make it back to the postseason. This is the first year I am following the Pirates as an actual fan and not for business purposes. I may have called games for their Triple-A affiliate, but that never meant I was a fan. I followed the Bucs because it helped with my broadcasts and often their success (or mostly, the lack thereof) determined who would be wearing an Indianapolis Indians uniform late in the season. But, something happened over the past year. TWITTER! Oh, those sweet faceless friends on twitter. I don’t follow a ton of people, but I do follow several Pirates writers and Pirates fans. Through twitter I was able to get some fans tickets to games and then visit with them during and sometimes after the games. (I could leave the radio booth in the 5th and 6th innings) It’s a great networking tool and otherwise I never would have met some really interesting people. It sounds corny, but their passion for the Pirates and blogs about the Pirates sucked me in a bit. I don’t have to go into great detail about the string of losing seasons the Buccos have suffered, but even with all the losing, they have a passionate and knowledgeable fan base. It amazed me how many people outside of Indy were interested in the Indians. Sometimes I felt like the fans in Pittsburgh cared more about the players than the fans in Indy. (To be fair, the Indians have a solid diehard fan base, but most of the people there are looking for a good time in downtown Indy. Win or lose it’s a nice night.) Maybe I can relate to Pirates fans because they remind me of Browns fans. Even with all the losing and all the moments when it looks like there is no hope…you remember your roots and stick with the club through thick and thin. It also helps that I have worked with nearly 50% of the Pirates roster. Most of the young Bucs wore the Indy Indians uni and you can’t help but develop relationships with them. So for this season and for a few more to come this Ohio boy is going to root and cheer on the Pittsburgh Pirates. I’ll never root for the Steelers and even though I’m cheering on the Bucs I will not buy any Pirates gear. It’s still black and yellow. A great big thank you goes out to all the people who reached out to me on twitter and via email wishing me all the best with my move from the Indians. It was a tough decision, but it was more of a personal move than a professional move. I did miss opening day, many of my co-workers, and the loyal fans who went to nearly every game. Fans like Vivian Whitaker, Nancy Zinni, and Joe Zaharako. I am pleasantly surprised to see that I am not missing the games as much as I thought I would. It helped to spend Easter Sunday with my family for the first time in 7 years plus last Sunday it was 80 degrees in Indianapolis. So instead of calling a doubleheader I went for a walk with the family to Broad Ripple for some afternoon ice cream. That was a nice afternoon and nice distraction from the great game of baseball. I’m still busy broadcasting and do hope to return to a baseball booth later down the road. For now, it’s daddy day care and my first real summer since 2005. March Madness is in full swing and IUPUI and South Dakota State are hours away from their tournament match-up. The Jaguars arrived to Sioux Falls late Thursday around 1 am local time. The late arrival didn’t bother the players as they were up early for breakfast and excited for the opportunity March presents. Team practices during the tournament are monitored and set to a time limit. The Jags wanted to practice a little bit longer today so they headed over to the University of Sioux Falls to get up some shots and work for a little less than two hours. 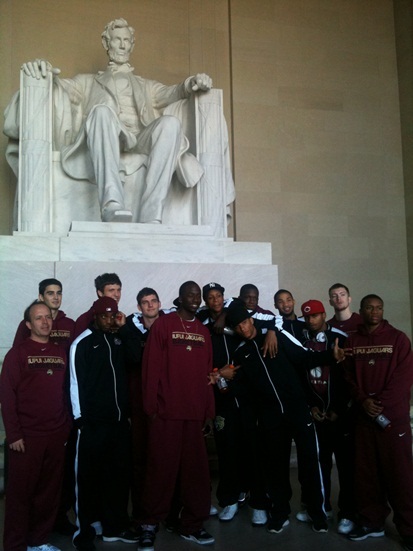 Here is some video from the day and some thoughts from Seniors Stephen Thomas and Alex Young. I wish I could put the videos right onto the page, but the best that I can do is send you the links. Again, I wish you could just click and view, but take a look at the different videos hopefully it gives you an idea how loose and free this team is as they prepare for the Summit League tournament. IUPUI is 16-11 all-time in the Summit League tournament winning the championship in 2003. The 16 wins is tied with Oral Roberts for the most in tournament history. South Dakota State guard Jr. guard Nate Wolters is averaging 21.2 points per game (2nd in Summit) 5 rebounds and 6.1 assists (tops in Summit). He is the ONLY player in college basketball averaging 20/5/6 and if the numbers stick he will be only the 5th player to reach those numbers in NCAA history. SDSU will have the edge in crowd support tonight. The Jackrabbits home arena is only 59 miles from Sioux Falls. The Jungle is 744 miles from the Falls. Jaguars sophomore and all-newcomer choice Ian Chiles is averaging 16 points per game over his last games. Chiles has scored 31 points making 12-21 shots in two games this season vs. SDSU. 5th year senior Christian Siakam is shooting 63% over his last 9 games and the Jaguar is averaging 13.4 ppg over that stretch. Thomas has scored 24 points and handed out 9 assists in two games vs. SDSU. Last Saturday SDSU sophomore Jordan Dykstra went 4-4 from three in the 1st half and has made 13 of his last 16 from beyond the arc. The 6’8″ Dykstra was the top three point shooter in the league hitting 49% of his shots. Jacks big man Tony Fiegen (rhymes with vegan) has scored in double-figures in only 2 of his last 12 games. That includes his 11 point performance last Saturday vs. IUPUI. All-time series: IUPUI is 6-4 vs. SDSU, but has lost three straight including two losses this season. –The Jacks scored 44 1st half points and the Jaguars scored 54 second half points. Wolters scored 32 with 8 boards and 8 assists. Griffan Callahan scored 20 points making 4 of the 14 three’s SDSU hit against the Jags defense. Six Jaguars scored double-figures led by Alex Young and his 28 points. Siakam had a double-double for IUPUI. –The Jaguars built a 13 point first half lead, but the Jacks closed the half on a 28 to 13 run to grab the lead and never trail again. Four Jacks hit double-figures led by Dykstra’s 20 points and 6 rebounds. The Jacks bench outscored the Jags 19-8 and only 14 of IUPUI’s 64 points came in the paint. Ian Chiles scored 17 to lead IUPUI. Third meeting March 3 in Sioux Falls: ? –listen to IUPUI basketball tonight beginning at 9:15 EST on 1260 WNDE. Two Jaguars earned postseason awards and it’s the third straight year Alex Young is named to the first team. Sophmore Ian Chiles averaged 11.3 points per game and has started 27 straight games for the Jags. For Alex the news didn’t come as a surprise, but he knows it’s a big deal. “That’s a great honor and looking back on it my first (sophomore year) was the easiest. That year I just rode Rob’s (Glenn) coat tails. I really earned it last year and this year the league had some really nice scorers. The award I really wanted was the defensive player of the year. That’s the one award I’ve wanted over any of the others and I was bummed to not be nominated. I thought I improved on my defense and did some good things.” Players are nominated by their head coaches and then the league places the top names on the ballot. At the start of the year Head Coach Todd Howard was stressing how special it is to have a single player make the first team three straight seasons. Someday we’ll look back on how special AY5 was when his #5 hangs on the walls of the Jungle next to George Hill’s #3 and Carlos Knox’s #34. Here is the ballot that I submitted and I’m sure you’ll pick apart. I don’t have to put my picks out there, but I think it’s nice for the fans to find out why I voted the way I did and who I thought were the best in the Summit League. –Sutton was my second choice, but in my opinion Molinari did a masterful job getting his team to finish in 4th place. WIU was picked to finish in 9th place and they surprised a lot of teams thanks to the two newcomers and a healthy Ceola Clark. I kept thinking about Joe Torre when I was thinking about Scott Sutton for COY…he coached the favorites and the favorites won. I like his style and I like how he lets his very veteran group play through any rough patches without using a timeout. 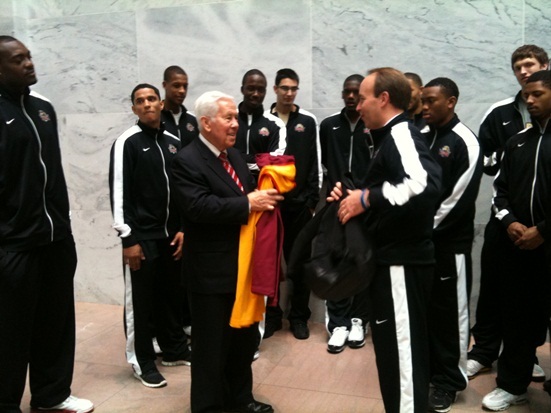 In the second meeting with IUPUI he was calling plays for his star Morrison and everything was working. A great, great coach. In the end for me it was Molinari followed by Sutton and Scott Nagy at South Dakota St. WIU plays a deliberate style that is tough to watch, but he gets his players to buy in and they were rewarded with a fourth place finish. –By far the toughest call in the three years that I have been voting. For me it was between Morrison and Hamilton. Morrison was the best player on the best team, but that’s not enough for me. Frankly it shouldn’t be for you. For instance, Kevi Luper won the women’s POY for a third straight year and her club finished second. The preseason player of the year on the men’s side was Alex Young and his team was picked fourth in the preseason. So it’s more than who’s the best on the best and there is no question that Morrison is a special player. I witnessed that first hand during the second half of the ORU/IUPUI overtime thriller in Tulsa. What it came down to was, who was the best player in the league…a league with four studs…and for me Hamilton was the biggest stud. As Alex Young told me “it’s tough to argue with Morrison, but Hamilton can score at any time and he scores a ton.” 790 points this season to be exact. –This was a weak category. I didn’t think this was a strong defensive year for the league and was disappointed Alex Young was not even nominated. He led IUPUI 29 steals and 16 blocks (most in the league). I voted for Clark based on reputation (he won in ’09-10…and was very good that year) more than what he did because the other 4 nominees didn’t merit the top vote. Congratulations to IUPUI Junior Kerah Nelson for making the women’s first team. She had a wonderful year and for the first time in her career she will compete in the league tournament. Sophomore Katie Comello made the all-newcomer team for Austin Parkinson’s team. The Jags face North Dakota State on Sunday in the 5 seed-4 seed game. IUPUI is on their way to Sioux Falls for the tournament and they tip off Saturday night at 9:30 EST against South Dakota State. Right now we are enjoying a brief stay at Chicago Midway before flying to Omaha and riding a bus the rest of the way to Sioux Falls. Entering the final night of the Summit League season seeds 3-8 were all up for grabs. When the dust settled Oakland completed a mid-season turnaround to take the #3 seed and Western Illinois, projected to finish 9th, jumped up to 4th place. North Dakota State lost 5 of their last 6 league games to fall into 5th place while Southern Utah limps into 6th place. The state of Indiana holds down the last two seeds with IUPUI finishing in 7th place and IPFW beating out UMKC for the last spot in this weekends tournament. The past couple of years Oakland entered the tourney as heavy favorites thanks a couple of 17-1 regular season records. Now it’s ORU who has the gaudy 17-1 mark, but are they the heavy favorites? For all the winning Scott Sutton has done with the Golden Eagles his teams have never won a tournament championship outside of Tulsa. ORU has never cut down the nets when the tournament was played in Ft.Wayne, Kansas City, and Sioux Falls. However, his team is loaded with experience and possible player of the year Dominique Morrison. ORU has a nice road to Tuesdays title game and the #1 team should have a nice path. After facing the Dons in opening round play they will get either WIU or NDSU. Western is the more difficult match-up, but I wouldn’t expect the Eagles to trip up. It’s a guess, but privately they may be preparing for a title game showdown with South Dakota State. You would expect the #2 seed to enjoy a nice path, but it will not be easy for Scott Nagy’s SDSU club. First up is the rematch with the Jaguars and there is no question Todd Howard’s club has the talent to win. The Jags lost a wild December shoot out in overtime and Saturday built a 13 point 1st half lead, but we’re overwhelmed by three’s and the Jacks offensive movement. The Jacks will have to beat IUPUI for a third time this year to advance and the high octane Oakland Grizzlies will likely be the opponent. Entering the tournament the 4 teams playing the best basketball are ORU, SDSU, Oakland, and IUPUI. In order to win the Summit Leagues automatic birth SDSU will have to beat the best and hottest teams in the league. One heavy advantage will be the backing of the crowd. Since the league moved to Sioux Falls the support for the Dakota schools has always dwarfed the other schools. I bet you could add up the other 6 schools fan base, multiply it by two and it doesn’t equal the support for NDSU and SDSU. If the top two sees met in the title game ORU will face a road atmosphere. The Jags finished the season with a 14-17 record and a 7-11 mark in league play. They were pegged to finish 4th in the preseason polls, but stumbled out of the gates at 2-8 including two league losses. Then IUPUI bounced back with 6 straight wins including dubs vs Ball State and the Horizon League regular season champion Valparaiso Crusaders. At the end of December the Jags were 8-8 and 2-2 in league play and ready to make a move. It never happened as they lost 7 straight to fall into last place. The postseason was in doubt and the players were facing the prospect of becoming the first team to miss the postseason. They found a way to turn it around to win 6 of their last 8 and finish the year on a high note. After an up and down year the only consistent thing this season was their inconsistency. The up and down play doesn’t matter because anything can happen in March. IUPUI will be the underdogs in every game they play from here on out. The Summit League loves the tournament in Sioux Falls because of the total attendance and the money generated by sponsorship dollars. I understand and outside of the weather the city does a really nice job of hosting the tournament. Now let me gripe for just a minute. NDSU and SDSU and soon South Dakota have the benefit of taking a short bus ride to the tournament. Because of this the league should not have them host games the weekend before the tournament. For the second time in the past three seasons IUPUI has finished the season at SDSU and had to turn around less than four days later to fly back to the Dakota’s. Travel is tough, but weather can cause even more problems. Tonight the IUPUI women play in Fargo and they are scheduled to fly home Tuesday morning at 6:45 am. Fargo is expecting 6 to 10 inches of snow and there is concern the flight may not happen. So the women will board a bus after the game and travel 14 hours home. Normally they would take the flight and wait out any delay, but because they are scheduled to fly back to the Dakota’s on Thursday they want to get back to campus as soon as possible. The quicker they get back the sooner they can rest at home before returning for the tourney. I’m sure the Dakota fans would tire of Senior night in the middle of February instead of the end of the month. They would just have to except the fact that due to the shirt trip to the tournament they have to finish on the road. Ok, I’m done complaining. I’m turning bitter because a long bus ride is ahead for me and the women’s team. Monday night the IUPUI women’s basketball team will play at North Dakota State and the winner will be the 4th seed in the Summit League tournament. Head coach Austin Parkinson’s squad was picked to finish in 9th place and it was hard to argue with the preseason pick. Last season Coach Park was named the women’s coach just four days before practice was scheduled to begin. What was even more unusual was his decision to jump from the men’s game to the women’s game. In his first year as a head coach and first year in the women’s game the Jags won only four games. Yet as you watched the team you could see a steady improvement and an excitement entering this season. The improved talent and Coach Park’s defensive mentality have turned the Jags from an easy win to a title contender. Junior Kerah Nelson is deserving of 1st team consideration while sophomore Katie Comello, Junior Emily Phillips, and true freshman Nevena Markovic may all make the all-newcomer team. This will be the schools first trip to the postseason since March 2009. A win tonight gives the team a fourth place finish and in my opinion Austin Parkinson a coach of the year award. 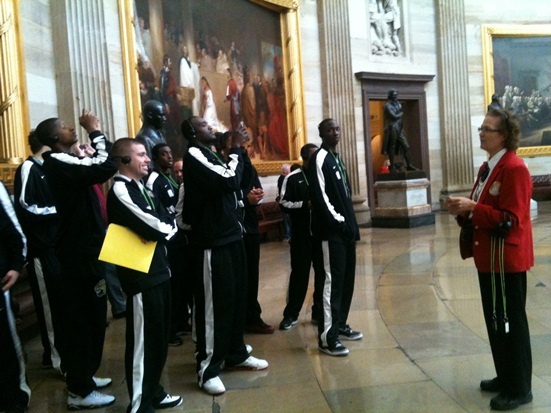 I’ll be adding more and more to the blog this week as the Jags prepare for March Madness. 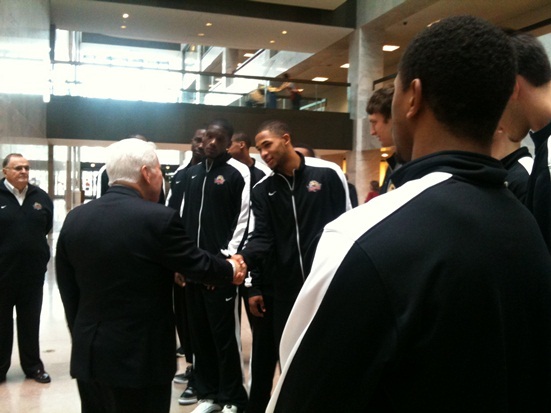 For the first time in school history IUPUI took part in the Sears BracketBuster. Saturday afternoon the Jaguars knocked off Nicholls State 84-80 for their 3rd straight win and the 5th win in the past 6 games. The game was not as close as the score indicates with the Jaguars building double digit leads in both halves and only trailing once. The story was once again the offense getting good looks and making those looks count. It was the second straight game the Jags shot 60% from the floor and like Wednesday it was the three seniors leading the way. The thing is, if the coaching staff had their way this game would not have been on the schedule. I can see his point and a win or loss only affects your record and not your tournament hopes. Yet I think it is a way to gain some extra exposure. Zero exposure was gained from Saturdays game, but that’s because 142 teams now compete in the busters when before is was around 48. The chance to be one of 48 is a lot nicer than 1 of 142. I know not everyone is on TV, but if this was the Jags 4th buster and say they were 3-0 or 2-1, maybe they are looked at as an attraction. In the end it worked out with a road win and next year the Jaguars will return to the buster with a perfect 1-0 mark. One kick back of the game is IUPUI will host Nicholls State next year in non-conference play. The trip to Nicholls State added 4 more airplane flights to an already busy February. The travel in the Summit League can take its toll on you. You can’t blame the team if they feel like they are living out of a suitcase. February 10: Depart Tulsa for Dallas an then on to Las Vegas. I know, it’s Vegas, but still it’s a long travel day and a new time zone. February 15: Senior Night and a 88-70 home win over South Dakota. SD flew in for that game and flew back the next day. 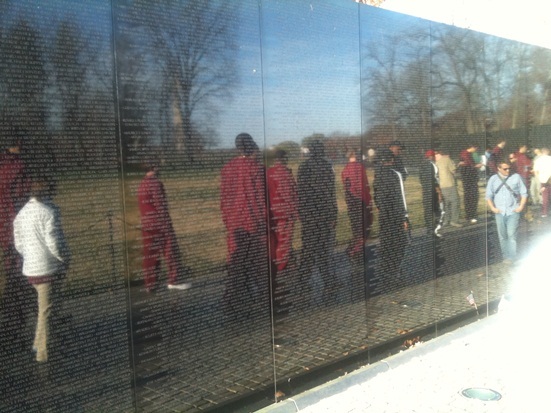 February 17: depart Indianapolis for Atlanta and on to New Orleans. Ok, again, Vegas and now New Orleans? But you can see the travel is adding up right? No? I promise, you won’t be jealous of the next trip. February 22: Indianapolis to Minneapolis to Fargo ND. Ah, jealous now? February 26: Sioux Falls SD to Chicago to Indianapolis. That last trip marks the end of the regular season. From February 8 to February 26 IUPUI will have been on 13 different flights and spend 10 out of 19 days in a hotel. Then it’s back in the air and back to Sioux Falls on March 1st for the Summit League tournament. Late on Saturday February 11th the Jaguars were leading Southern Utah and close to putting the game away. Senior point guard Stephen Thomas blew by his man and went down the right side of the lane for a lay-up. The bucket was good and everyone headed back down court, everyone except Steve. He was under the bracket grabbing his ankle. “I thought he was done for the year.” Most of Coach Howard’s players probably agreed with him. It has been an injury plagued year for Thomas, but he has only missed one game. The pain began in the preseason when he suffered a concussion during the days of practice. Then during the exhibition season he severely sprained his ankle and from that point on he has been living in the training room. “He’s put together right now with toothpicks.”. Coach Howard continues, “and yet he doesn’t miss a game and we need him. I really feared the worst at Southern.” The fears were quickly put to rest when he checked back in just minutes later. “It has been hurting all year and at that time it felt better after I walked to the bench. It’s routine now, I get treatment, practice, treatment, game,and then more treatment.”. The past few weeks he has been playing with a special ankle brace that looks more like a knee brace for an ankle than a traditional ankle brace. I’m not sure exactly what it’s made of, but my guess a semi-truck could run over it and it would still be in one piece. “It’s my brand new ankle.” No one has given me a percentage, but he sure isn’t 100% and likely not 85%. Regardless he doesn’t miss a start because the team needs him and the 5th senior wants to be on the floor. Food and snacks are always a big topic when traveling with the team. It’s not easy accommodating a 20 person party. Director of basketball operations Jason Buckner handles the food and restaurant stops by taking our orders before we arrive in a city. That was case at our first stop in New Orleans. Since we were in NOLA I figured I would have some seafood and there was a lobster lunch option. It was $19 and that is a bit steep, but it was under 20 and I asked JB if is was OK. He said it was fine and we agreed the price was right and I figured it was going to be only the tail. I really thought it was going to be just the tail. On top of that I enjoyed my $19 lobster in front of IUPUI athletic director Mike Moore. “I think you may be done eating for the rest of the trip.”. A not so subtle dig on my selection. (Mike and I have a great relationship and for the record I ordered low priced meals for the rest of the weekend.) The joking didn’t stop there and every place we stopped to eat the players suggested I get a lobster or surf and turf. “Can’t eat here, They don’t have a market priced lobster.” By the way, it was delicious. 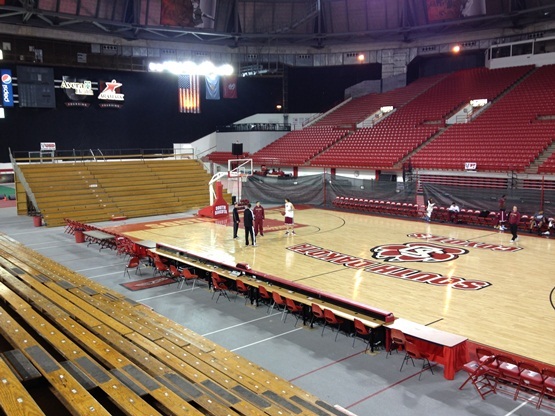 The IUPUI Jaguars have arrived in Vermillion South Dakota, the home of the USD Coyotes. The ‘Yotes and Jaguars will meet for the 1st time in school history tonight at 8 EST. USD is the latest member in the Summit League and enter tonight’s games with a 1-7 league mark…only one game behind the 2-6 Jaguars. After enjoying 10 of the past 13 games at home, IUPUI hits the road to finish the regular season with 8 of their last 11 on the road. The road has not been kind Todd Howard’s club and quite frankly the home was not all that great either. The Jags went 6-4 at home and a disappointing 2-4 in league play. Coach Howard is trying to put the disappointment behind him and the team. “We did miss out on a great opportunity, a huge opportunity, but I thought we played good enough to win some of those games and now we have to come together on the road.” With 10 league games to play IUPUI is looking at moving up the standings and securing a manageable seed in the Summit League tournament…a win tonight will go a long way to helping this team recover. The Jaguars are winless on the road and they have not made things easy on themselves. In all 7 road loses the Jags have trailed at the half and would you believe IUPUI has held a second half lead only ONE TIME this season. For brief moment in their 2nd road game of the season IUPUI lead Milwaukee 35-33. The Panthers tied the game at 35 and never trailed again. It’s amazing, but the Jags have not held a second half lead in a road game since November 18…two months ago. How do they change this disturbing trend? It’s not easy, but two players need to step up for the Jaguars. The first is 5th year senior Christian Siakam. During a break out junior campaign the 6-7 Siakam averaged 11.2 points and 7.2 rebounds in Summit League play. This season he is scoring only 6.4 and grabbing 5.3 rebounds in league play. By no means are those horrible numbers, but his minutes are way down from a year ago. The main reason is foul trouble. Siakam has picked up at least 4 fouls in 15 of the Jags 20 games. If he can return to his form from a year ago IUPUI will be a completely different team. He can hit 15 foot jumpers, he is relentless on the offensive glass, and he can only help when he is on the court and not sitting on the bench with 3 first half fouls. The next player who can help IUPUI snap out of their road funk is newcomer Ian Chiles. The slashing sophomore scores 11.8 points per game at home, but only 5.4 on the road. Chiles has really good range and the ability to slash inside the paint. Coach Howard is looking for some players to take the scoring pressure off of Stephen Thomas and Alex Young. The duo combines for 33 of the 76.6 points the Jags score in league play. This weekend will go a long way to determining if the Jaguars get a chance to play in the tournament. Entering tonight’s game with USD the Jags are sitting in 8th place just one game ahead of Saturday’s opponent UMKC. Eight of the top 9 make the Summit League tournament (South Dakota is ineligible because this is their first year in the league). 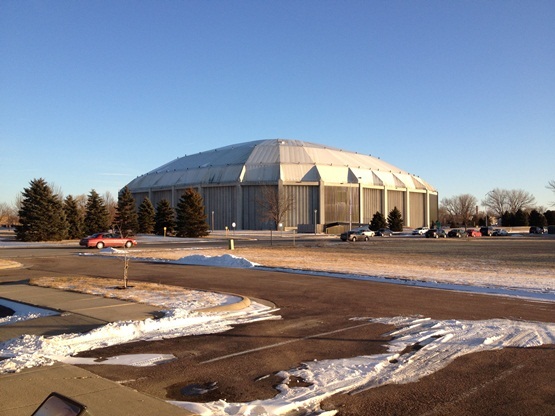 The Coyotes call the DakotaDome home and it is a massive building. It was built back in 1979 for $8.2 million and the University has used the facility for just about everything. Here are some pictures of the structure. 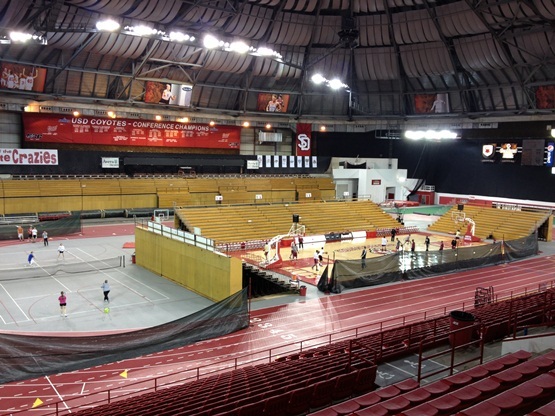 The Dome is used for football, basketball, volleyball, track, softball, and oh yeah there is a swimming pool under the red stands. Impressive. Charlie Westbrook leads USD in scoring (16.4ppg) and Mr. South Dakota Louie Krogman is second with 14.4 ppg. Krogman is a senior and is 11th in school history with 1,417 career points. Krogman is one of the most decorated high school players in South Dakota history. He is the state all-time leading scorer with 3,521 points…or 387 more than Indiana’s all-time leader Damon Bailey. Hope you can join me for the broadcast and it’s time for the Jaguars to earn their first road win of the season…and take control of this season. For the first time this college basketball season the IUPUI Jaguars faced a Division I opponent. Tuesday night in Little Rock Arkansas the Jags faced a team that had speed, height, and a willingness to rebound unlike any of the previous three teams they played. In the end they fell behind late in the first half by 16 points and a furious 2nd half rally fell short resulting in a 75-70 loss. Todd Howard’s bunch is 1-1 after two regular season games and will try to bounce back Friday night in Milwaukee. Tuesday night IUPUI played pretty good basketball, but failed to rebound and were outscored in the paint. UALR was out-rebounded in their previous two games by an average of 13…they finished +7 against IUPUI and had 10 more board than the Jags at the half. “That was a big key in the game. When Christian (Siakam) got the two quick fouls it changes us inside.” Coach Howard continued, “when he is out on the floor he rebounds and creates space to allow other guys to rebound. Without him in there, they really bunched things up. When you lose on the boards, you will lose in the paint, and the other team typically shoots more free throws than you.” UALR made 18 free throws, one more than IUPUI attempted. The Jaguars don’t have much time to dwell on the loss. The team will bus to Milwaukee tomorrow afternoon for the Friday game. After that it is a showdown Sunday afternoon vs. Eastern Michigan and then on Wednesday they will play on the road at Ball State. The guys will have to be ready to play and they will have to do some preparation on their own. The Jags will not practice on Wednesday (NCAA rules mandate you need to take a day off) so it’s up to them to study and scout Milwaukee. I’m looking forward to see how they bounce back against a Horizon League foe. It didn’t take long for the subject of conference realignment to be brought up at Arkansas-Little Rock. UALR competes in the Sun Belt and won the conference tournament last spring advancing to their first NCAA tournament in 21 years. Just after I set up my radio equipment an usher walked over to me and asked it I heard anything about UALR joining the Summit League. This summer Oral Roberts is leaving the Summit to joint the Southland Conference leaving the League with 9 teams. Is UALR a candidate to joint the league? They belive they are. It appears, according to the usher, UALR is worried they will be forced to leave the Sun Belt because they don’t have a football program. Rather than lose the ties with the Sun Belt, they may begin snooping around the Summit League. This doesn’t seem to be much of a secret in Little Rock, but it was news to me. Can I really take the word of an usher? I did a little digging of my own and it does look like UALR would look into the Summit. I didn’t talk to many people, but those I did speak with were quick to say they really like the Sun Belt and the long rivalries. However, as we have found out with the recent conference moves…that doesn’t mean much to universities. UALR has a tremendous basketball facility and their state of the art practice facility that was donated by Alum Derek Fisher. He played for the Trojans in the early to mid-90’s and his name is on the practice court. The facilities will make UALR a player in the Summit League. I’m only on board if Indianapolis finds a direct flight to Little Rock. Senior point guard Stephen Thomas returned to the court 14 days after injuring his right ankle. The 5th year player came off the bench, but started the second half and played very well for missing two weeks. The challenge was fitting him back in with the team after missing so much practice time. He played 29 minutes and according to him, “felt more like 40 minutes.” He was sore and tired from seeing his first action since the injury on November 1st. The next step is to see if he returns to the starting lineup on Friday. I’d bet on it. Greg Rice started at the point the past two games with Thomas on the sidelines. The redshirt sophomore continued to impress hitting all three of his shots from beyond the arc and scoring in double-figures. At the start of the second half coach Howard went with Rice and Thomas in the back court leaving Sean Esposito on the bench. There is no doubt that Rice brings you effort and production when he is out there on the floor. He can hit shots (more importantly he’ll take a big shot) and can play defense. Espo has started the past two games and we’ll find out if he will stay there or come of the bench on Friday. If he comes off the bench he’ll be the #1 shooting option on the second unit and that may fit him perfectly. Oh, and why “THE GIANT?” Rice went to Ben Davis and I’m convinced he thinks he is 6-6 235 pounds instead of 5-11 188. He’s a bulldog on the court and I like watching him play. I mention Rice has the guts to take a tough shot and even a big shot if needed because IUPUI is looking for that guy. Tuesday night the Jaguars were making a run and it looked like they really missed graduated Senior Leroy Nobles. The 2011 2nd team all-Summit League performer was THE guy to take and hit a game changing three. Obviously he isn’t with the team and they need to find the next Nobles. At times it looked like Thomas and Alex Young didn’t trust who was camped on the wing ready to shoot. Maybe I’m way off, but a big shot was needed late in the game and no one was able to hit it or find the right shooter. With time IUPUI will have to find that shooter. Who knows, maybe it’s Greg Rice. Finally, you have to see the latest video at IUPUIjags.com. Check out this great video of head coach Todd Howard mic’d up at practice. It’s on the right had side of the page and you can play the video right from the main page. David Harris from Webstream Productions did a terrific job and I think you’ll like it.